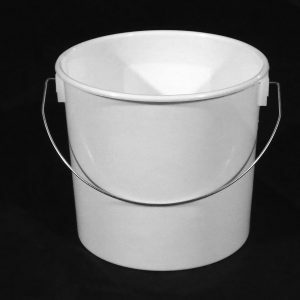 H&O Plastics is pleased to announce that the newest product category on its retail website features some of the cheapest paint kettles available on the internet. Our 2.5 litre paint kettle and 5 litre paint kettle are, as far as we can tell, the cheapest that you can buy online. Paint kettles make up the newest product category on the BuyBuckets retail website. And they are nothing if not basic. Manufactured from polypropylene, with a simple metal handle, they are more lightweight than a lot of the other products on our site. But customer feedback tells us that this is exactly what painters and decorators want – cheap paint kettles that can easily be replaced if they get too dirty. In short, they want good value for money and this is exactly what H&O Plastics try to deliver every day. 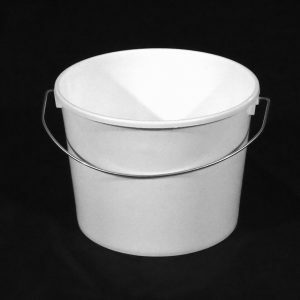 After some quite thorough digging on the internet we are confident that these are the cheapest or among the cheapest paint kettles available to buy online. All products are without lids. Paint kettles come with a flat bottom to make paint mixing easier. 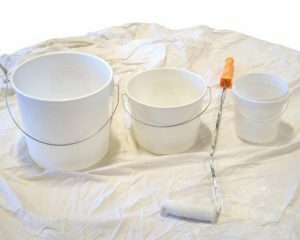 Using a paint kettle allows painters and decorators to reseal the original paint tin while working. Only using a bit at a time prevents contamination between paints and stops expensive paint evaporating away. BuyBuckets is owned and operated by H&O Plastics, a Birkenhead-based plastic bucket manufacturer. The company believes in providing high quality products, made in this country, at the most competitive prices. Because we manufacture and distribute most products ourselves, they represent good value for suppliers and anyone that wants to purchase in large volumes. If you would like to enquire about trade orders and the possibility of bulk buying discounts, then please contact a member of the team. Call: 0151 629 0002.